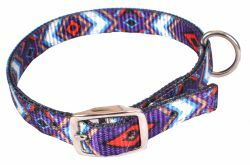 Showman Couture ™ Purple and Red Diamond designed nylon dog collar. 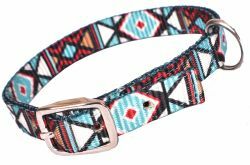 Showman Couture ™ Teal and Burgundy Geometric designed nylon dog collar. 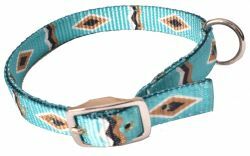 Showman Couture ™ Turquoise Diamond designed nylon dog collar. Showman Couture ™ Genuine Leather medium oil leather dog leash. Showman Couture ™ Genuine leather dog collar with metallic teal overlay. Showman Couture ™ "I Love My Dog" Silver Glitter overlay leather dog collar. Showman Couture ™ Genuine leather dog collar with natural rawhide lacing. Showman Couture ™ Genuine leather dog collar with red, white, and blue stars. Showman Couture ™ Genuine leather dog collar with hand painted cross design. Showman Couture ™ Genuine medium oil leather dog collar. 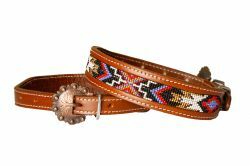 Showman Couture ™ Beaded paw print inlay leather dog collar with copper buckle. 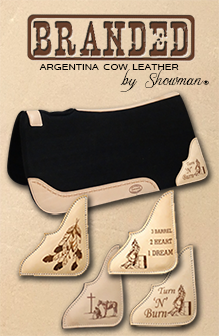 Showman Couture ™ genunine leather dog leash with beaded paw print design. Showman Couture ™ Genuine leather dog collar with tie dye print. 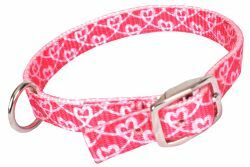 Showman Couture ™ Genuine leather dog collar with red, pink, and mint beaded inlay. 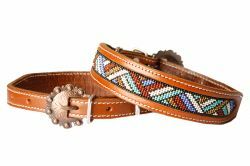 Showman Couture ™ Genuine leather dog collar with red, white, periwinkle, mint, and gold beaded inlay. 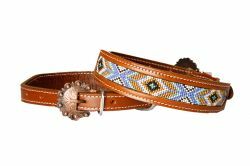 Showman Couture ™ Genuine leather dog collar with periwinkle, gold, and mint beaded inlay. 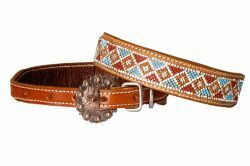 Showman Couture ™ Genuine leather dog collar with periwinkle, mint, gold, and white beaded inlay. 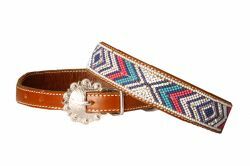 Showman Couture ™ Genuine leather dog collar with turquoise, pink, navy and white beaded inlay and crystal rhinestone accents. 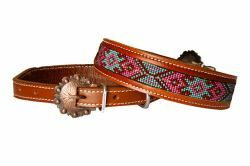 Showman Couture ™ Genuine leather dog collar with turquoise, brown, and gold beaded inlay and crystal rhinestone accents. 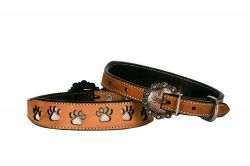 Showman Couture ™ Genuine leather dog collar with paw print design.